A drawing of the layout of Base Village. SNOWMASS VILLAGE — If the town of Snowmass Village extends vesting rights for the Base Village development, then property owner Snowmass Acquisition Company LLC will agree to a firm schedule of public and private improvements, including a traffic roundabout. 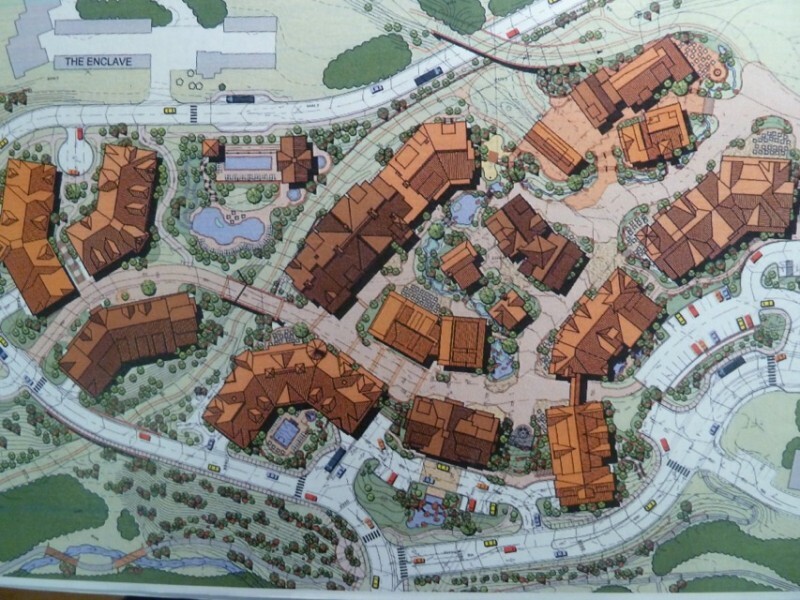 On July 16, the town’s planning commission will begin reviewing the minor PUD amendment submitted by the Related Colorado subsidiary that repurchased all of Base Village, according to Community Development Director Julie Ann Woods. That includes specifics about phasing, financial guarantees and a timeline of when projects could potentially break ground. “We heard it pretty loud and clear that [town council and planning commission members] wanted to see it move forward as soon as possible,” Woods said. Many who participated in three non-binding public meetings complained that property values have suffered village-wide because of the partially built base area. The faux structures lining Wood Road must be completed and public improvements, including a traffic circle and road upgrades, are overdue and now needed, according to feedback from the meetings. • A roundabout at Brush Creek and Wood Road would be started by May 15, 2015, substantially complete by Nov. 30 of that year and finished by June 30, 2016. • A “community facility,” which may or may not be an aquatic center for Base Village, would be substantially complete by Nov. 3, 2019. There was also a timeline of improvements for finishing the snowmelt system near the parking garage. • A “performance bond or other financial security acceptable to the town upon approval of the minor PUD amendment” would ensure completion of the roundabout, upper Wood Road overlay, snowmelting systems, bus shelter and other improvements, the application reads. The amount of bonding provided by the developer will be determined at a later time, said Related Colorado spokesman Steve Alldredge. And vesting rights remain an incentive, said councilman Fred Kucker. “We would extend vesting rights for limited periods of time and during those periods they will meet certain goals. Any time they don’t meet the goals the vesting rights expire,” Kucker said. Snowmass Acquisition Company LLC is requesting that the initial phasing deadline, approved in 2004, be extended by five years from Nov. 3, 2014 to Nov. 3, 2019. The extension would remain in effect as long as the developer lives up to its end of the agreement with regard to development conditions. The final completion date for Base Village, Nov. 3, 2024, remains unchanged. The first deadline is rapidly approaching. By Oct. 15, 2014, “the applicant will submit and diligently pursue one or more applications for a PUD amendment for Lot 2, Lot 3, Lot 4 and Lot 8,” the application reads. Lot 8, which includes a second Viceroy tower, could be started as soon as July 1, 2015, with substantial completion by Dec. 31, 2016. Approved in concept last year, the hotel’s second phase will require an amendment to address the addition of a private mountain club. Lot 2, which was once eyed by Aspen Skiing Co. as a Limelight hotel, and Lot 3, located in Base Village’s heart, could be substantially complete by Nov. 3, 2019. 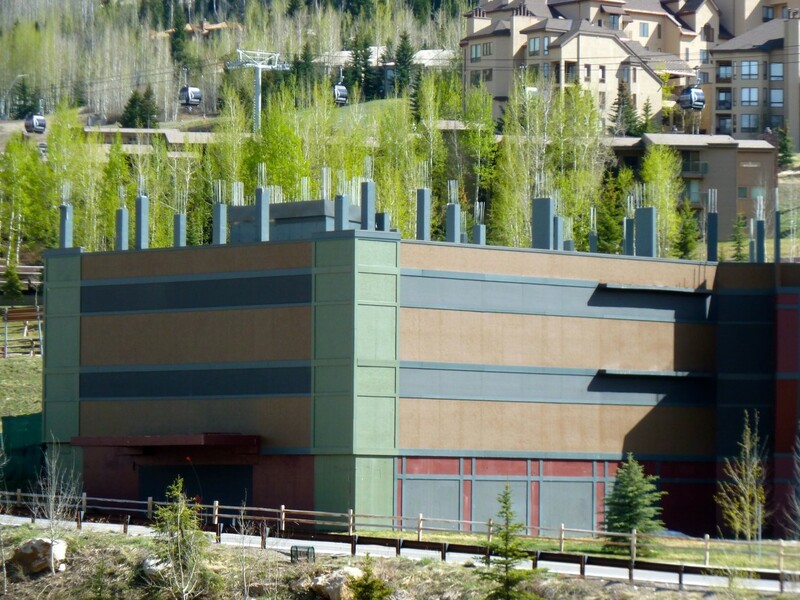 Snowmass Planning Commission members, including Donna Aiken, David Rachofsky and Bob Sirkus, have repeatedly said they want a way to guarantee that buildings are finished and not left as incomplete public eyesores. The planning commission will have its say beginning next Wednesday. Mayor Bill Boineau agreed it’s time to get moving again. Editor’s note: Aspen Journalism collaborated on this story with the Aspen Daily News, which published it on Wednesday, July 9, 2014.